December Picks: San Francisco Dickens Fair, Snow Day in Berkeley's Gourmet Ghetto, Berkeley Holiday Street Fair, Martinez Santa Beer Crawl, Sacramento Theatre of Lights, and San Jose Craft Holiday Fair! - Get on Board! 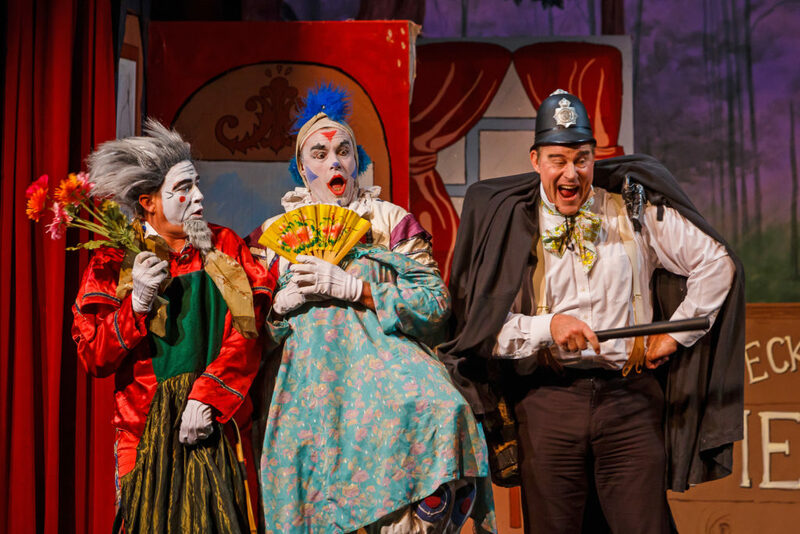 December Picks: San Francisco Dickens Fair, Snow Day in Berkeley’s Gourmet Ghetto, Berkeley Holiday Street Fair, Martinez Santa Beer Crawl, Sacramento Theatre of Lights, and San Jose Craft Holiday Fair! Get in the spirit of the season with a month full of festive events along the Capitol Corridor! Step into Victorian London at the Dickens Fair in San Francisco; meet and greet Santa and the Snow Queen in Berkeley; experience a classic holiday theatrical production in Old Sacramento; pick out your favorite holiday costume and craft brew crawl in downtown Martinez; and shop till you drop at craft fairs in Berkeley and San Jose! 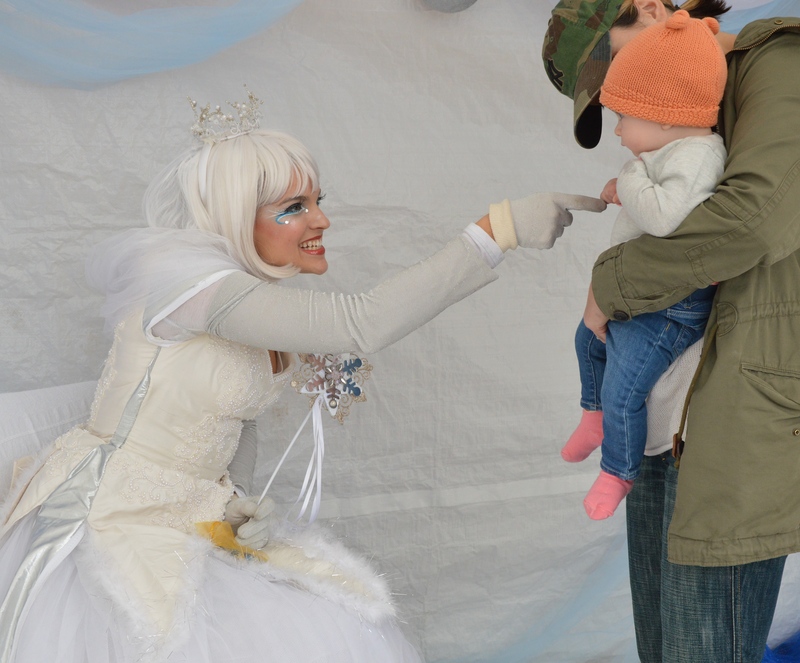 There is so much fun to be had at a variety of holiday events all month long. Take a step back in time through the winding, enchanted lanes of Victorian-era London at the Great Dickens Christmas Fair in San Francisco’s Cow Palace. Choose from seven stages offering entertainment for all ages— from dancing and sword-fighting to holiday pantomime. Young audience members will delight in riding a hand-powered Adventure Carousel; watching an authentic British Punch & Judy puppet show; and having tea with Alice at the Mad Hatters’ Tea Party. For more adult-oriented merriment, head down to the “dockside” to join the Can-can dancers and sailors at the bawdy Mad Sal’s Music Hall. There you’ll find lively interactive shows, hands-on craft activities, and old-world games of skill and chance. Visit one of the five traditional pubs or sit down for a proper English High Tea with scones and finger sandwiches. Don’t forget to check out some of the 100 gift shops overflowing with wonderful, hand-made holiday treasures. Tickets are $30 for adults, $14 for children 5 to 12 years, and free for kids under 5. Getting there: Depending on your station of origin, ride the Capitol Corridor to the Richmond Station or Oakland Coliseum Station. From here you can connect to BART with a free Transit Transfer for service to the Glen Park station and ride the free shuttle provided by the fair. You can also take BART to Balboa Park and transfer to the 8 or 8X Muni bus. Bring your boots and mittens to play in the “snow” gently falling on Shattuck Avenue between Rose and Vine Streets in Berkeley at Snow Day in the Gourmet Ghetto. Entertainment will be provided by Nutcracker dancers from Kathryn Roszak’s Dance on Center, the California Revels Solstice Ensemble singers, Dickensian cornetist Franklin Beauregard Davis, and Chris Abbe, a professional balloon twister. 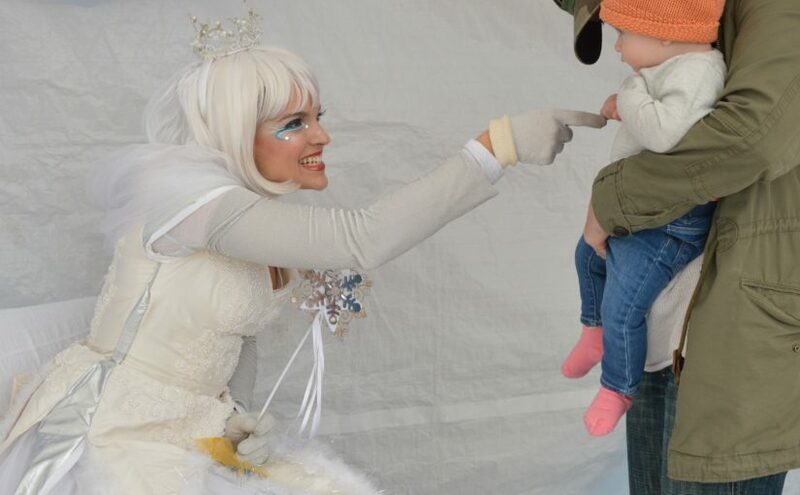 Kids will be thrilled to ride live ponies, make free Do-It-Yourself crafts, tell the Snow Queen their holiday wishes, and search for the ‘ice’ in a snowball— one holds a real diamond ring, donated by M. Lowe & Co. as a benefit for Berkeley schools. Bring a large container to take home some snow of your own for more fun, or to water your garden! And don’t forget to peruse the one-of-a-kind holiday gifts from local art, craft, and artisan food vendors, and to warm up with free hot apple cider and snacks. The Gourmet Ghetto is just six blocks north of the Downtown Berkeley BART station, and over 50 of the trees lining this charming avenue are adorned with beautiful festive lights. Getting there: Ride the Capitol Corridor to the Berkeley Station, and get to downtown Berkeley via AC Transit with a free Transit Transfer. Alternatively, ride the Capitol Corridor to the Richmond Station or Oakland Coliseum Station, connect to BART, get off at the Downtown Berkeley BART stop, and walk the six blocks to Gourmet Ghetto. Avoid the stress of mall crowds and find the perfect gift for that perfect someone at the 34th annual Telegraph Avenue Holiday Street Fair. 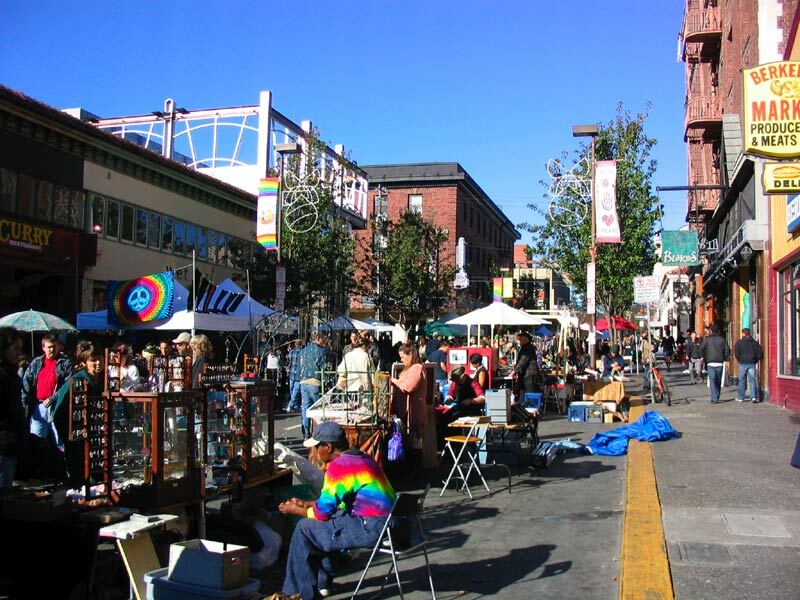 The four-block event will have an abundance of good cheer, great music, yummy food, and unique handicrafts made by some of Northern California’s finest artisans. Peruse original but inexpensive artistic gift items, including jewelry, beadwork, wirework, woodwork, candles, pottery, sculptures, paintings, photography, henna, leather, hats, silk-screened and tie-dyed clothing, gift boxes, and packaged food items. Your holiday experience will be complete with festive lights, colorful decorations, and a friendly multicultural shopping atmosphere. The fair is located on Telegraph Avenue between Dwight Way and Bancroft Way, next to the University of California, Berkeley. Getting there: Ride the Capitol Corridor to the Berkeley Station, and get to downtown Berkeley via AC Transit with a free Transit Transfer. Alternatively, ride the Capitol Corridor to the Richmond Station or Oakland Coliseum Station, connect to BART, and get off at the Downtown Berkeley BART stop, a short walk from the venue. Put on your ugliest Christmas sweater, dust off your Santa suits, and get ready to spread some holiday cheer at the Santa Beer Crawl! 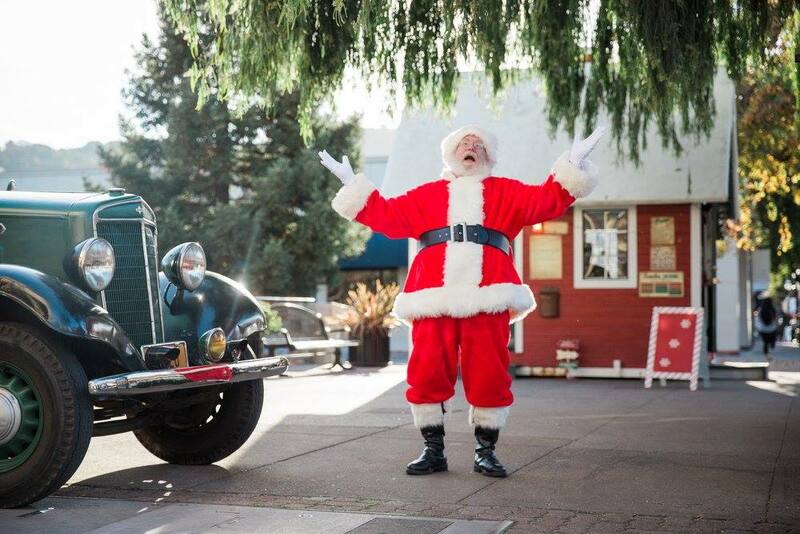 Join the jolliest bunch of Santas this side of the Bay as they meander around the downtown corridor of Martinez, sampling from over 20 great craft breweries stationed inside some of the small businesses along Main Street. Santa costumes and ugly sweaters are strongly encouraged, and you can enter to win fabulous prizes from downtown businesses. Early General Admission tickets are $35 if purchased between 12/2/18 until 12/7/18. Entry is $40 (cash only) at the door. Take pre-purchased ticket confirmations to the booth next to Creek Monkey Tap House at 611 Escobar Street starting at 1 pm for early check-in. Sponsored by Main Street Martinez, Creek Monkey Tap House, and RockSteady Brewing, this year’s Santa Beer Crawl is sure to be a very merry time! Getting there: Ride the Capitol Corridor to the Martinez Station, and it’s a short stroll to downtown. Head over to Old Sacramento to see some of California’s finest talents in the field of light and sound at the Tenth annual Macy’s Theatre of Lights. The 20-minute live-action retelling of Moore’s classic 1823 poem— “A Visit from St. Nicholas,” more popularly known as “‘Twas the Night Before Christmas”— will be narrated by Emmy-nominated voice actor Bill Farmer, the voice of Disney’s Goofy. 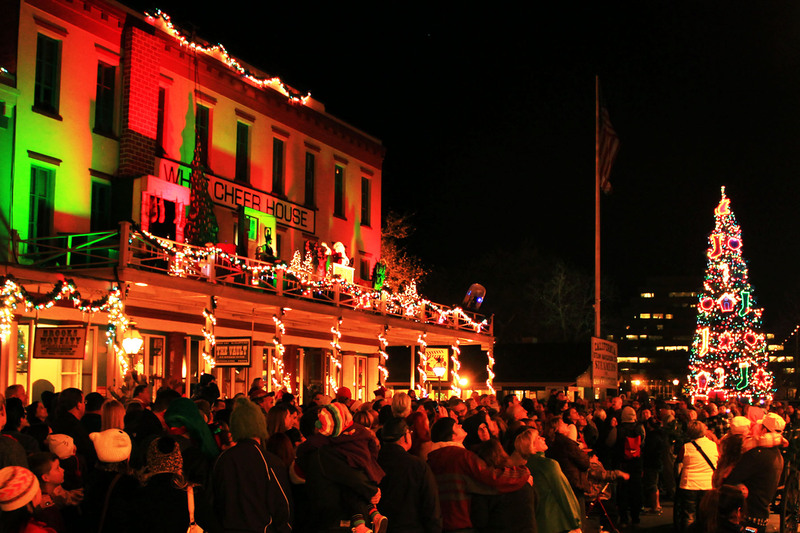 Performances will be held on the balconies above K Street, complete with a special appearance by Jack Frost, and the lighting of the 60-foot Christmas tree by St. Nick himself. Enjoy state-of-the-art sound and lighting technology re-creating a memorable holiday tradition. And step back in time to discover how early pioneers experienced the calamities that befell the new city in the 1850’s— the sounds of the fires, floods, and parties will surround the audience as the 150-year-old building facades light up with color. Theatre of Lights shows run throughout the holiday season, Thursday through Sunday nights. The full schedule, including special holiday performances, is available online. Getting there: Ride the Capitol Corridor to Sacramento Station, a short walk from Old Sacramento’s Historic District. Cross everyone off your holiday shopping list at the San Jose Convention Center for a festive, large-scale, all-in-one shopping experience. 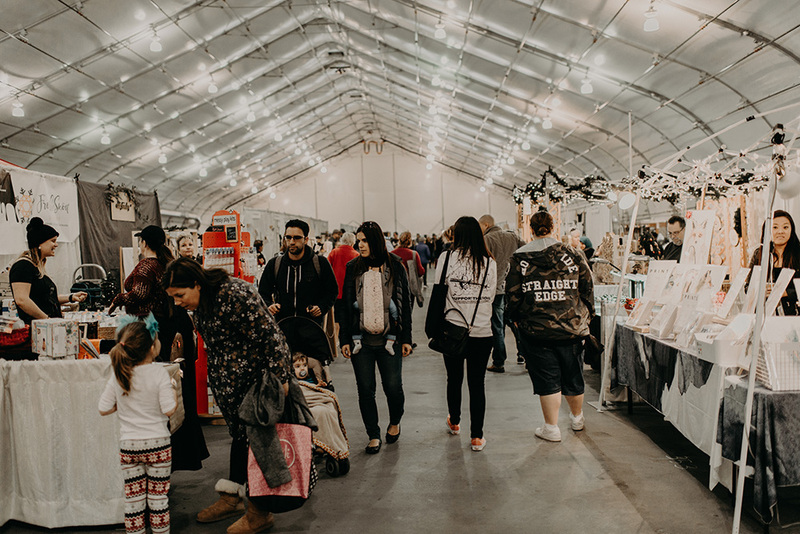 More than 250 artists, designers, creators, food producers, and emerging brands showcasing their handcrafted, artisan-made goods at the San Jose Craft Holiday Fair. The event will be partnering with Team San Jose to provide a tasty, locally-sourced food and local craft beer menu, as well as local wines. There will also be live entertainment, DIY workshops, Instagram-friendly installations, and door giveaways. Getting there: Ride the Capitol Corridor to the San Jose Diridon Station. Most venues are within walking distance of the station or are accessible by the local VTA bus service with a free Transit Transfer from the Capitol Corridor. Previous Previous post: Enter to WIN Tickets to Go Ice Skating in Sacramento or San Jose!